Well, the snow storm predicted was a bust which is just fine with me. Mainly got some sleet out of it. It's horribly cold though so they were right about that unfortunately. 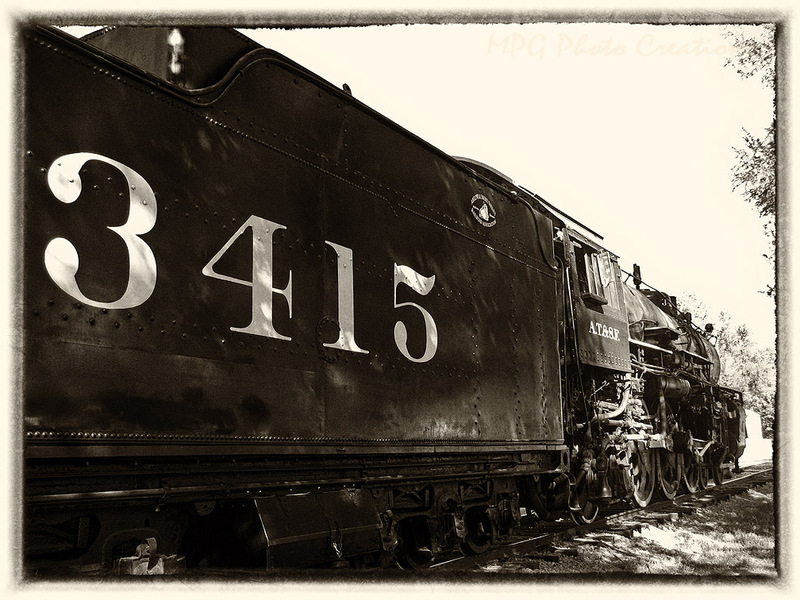 Here's an image of a nice warm steam train that I gave an antique look to. It's the restored locomotive of Abilene, KS Smokey Valley Railway, ATSF 3415.